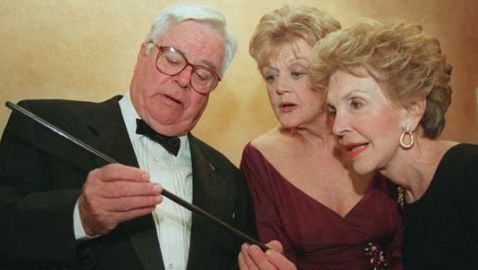 The celebrity world has been rocked by another death as William Windom passed away at the age of 88 on Thursday. Windom won an Emmy Award for his work on the television series “My World And Welcome To It.” Windom passed away from congestive heart failure while at home in Woodacre, which is close to San Francisco. His death was announced by his wife, Patricia. In the television series, Windom played the character named John Monroe, who was a writer-cartoonist for a magazine in New York. Monroe would use his fantasy life to get away from a life in the middle-class in Connecticut. Windom was born on September 28, 1923 in New York City. He has the same namesake as his grandfather, who was the former U.S. Treasury secretary and Minnesota congressman. Windom joined the Army during his academic career at Williams College in Massachusetts. He was a paratrooper during World War II. Upon returning home he attended University of Kentucky and other schools before beginning a career in acting. Windom worked for multiple decades in television in the United States, making guest appearances on a variety of shows. Some guest appearances includes spots on ‘Star Trek,’ ‘Twilight Zone’ and ‘Murder She Wrote.’ Windom appeared on ‘Murder She Wrote’ roughly 50 times starting in the middle of the 80s. In the movie ‘To Kill a Mockingbird,’ Windom played the prosecutor in court.